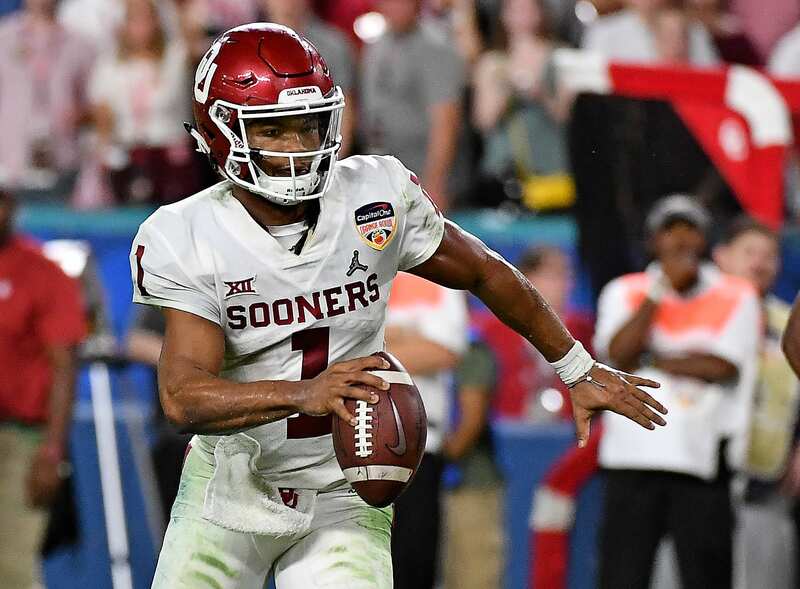 The game of football seems to be the only game Kyler Murray isn’t playing at the moment. From immature interviews to a lack of trust that the Heisman Winning quarterback will actually continue playing football if I’m GM Dave Gettleman of the New York Giants, I’m not even looking in the direction of Murray. The sub-6-foot passer would arguably be the smallest QB in the history of the NFL, or at least to be drafted in the first round. He was drafted ninth overall by the Oakland Athletics to play baseball, but he’s been walking a tight-rope the entire offseason in an attempt to gain national recognition and drive up his stock. Just several days ago Murray committed to the NFL process and to become a professional quarterback. Why is this good news for the New York Giants? You could make the argument that Murray committing to the NFL is a great thing for the Giants, simply because it improves the pool of players for the upcoming draft, and it might send Dwayne Haskins falling right into their laps. The Ohio State pocket passer holds the record for most touchdown passes in QB history at the prestigious football school. He’s the quintessential quarterback for the Giants, and only head coach Pat Shurmur knows what he could do with a player of the quality. First off, the Giants would have to use their No.6 pick to take the tiny QB. Additionally, do you think they really want to be the test experiment for a quarterback that small? Reports have him standing at 5-foot-9 7/8, so nearly 5-foot-10. We’ve seen players like Drew Brees and Russell Wilson impress at shorter than normal heights, but at the end of the day, they’re anomalies and are extremely talented throwing the ball rather than running it. The Giants have always preferred sturdy quarterbacks that can stand tall in the pocket and deliver passes under duress. Eli Manning is running out of gas and the next man up could very well be Haskins, but Murray simply is too much of a risk to be considered a legitimate option. Also, it’s essential to take into consideration the persuasion of the MLB. More money, less risk of injury, but ultimately less fame.